This Blueberry Pecan Quinoa Salad is sponsored by Success®. 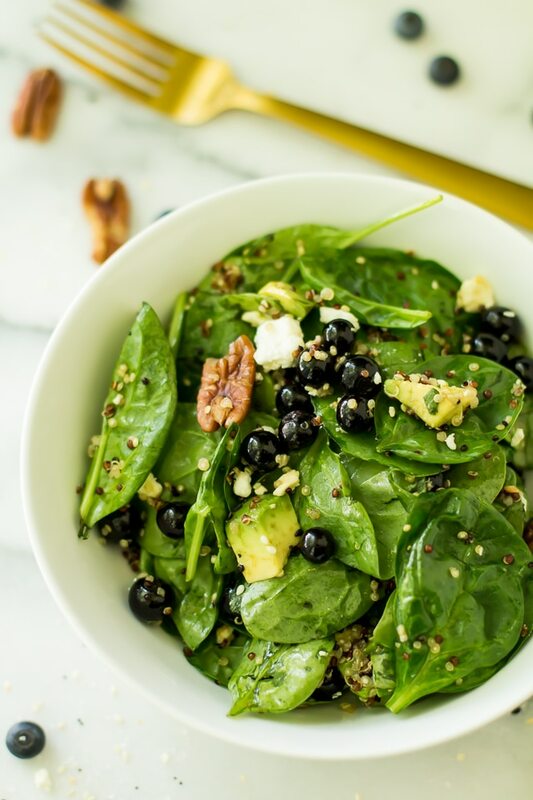 They provided Tri-Color 100% Quinoa for a wholesome, filling salad tossed in a sweet and tangy balsamic vinaigrette, creating the perfect blend of flavors! 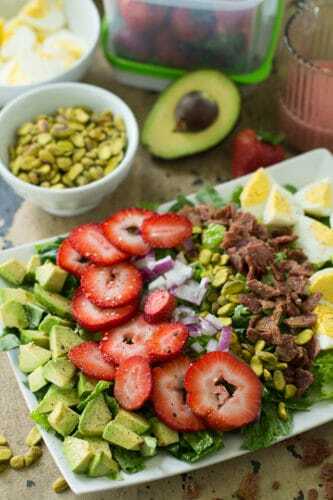 This salad is perfect for summer, using simple ingredients you can get at any local farmer’s market. It’s seasonal, flavorful, requires very little time and effort, and it’s basically a bowl full of super foods! And the dressing? You don’t wanna miss this. And you’re going to want to put it on every other salad you make. 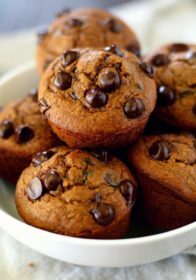 How can something so simple be so tasty?! To really keep things quick and easy, I used Success® Tri-Color 100% Quinoa. It’s such an awesome shortcut, cooking in only 10 minutes. Even better, it’s pre-portioned in BPA free boil-in-bags, so there’s no measure and no mess. It cooks perfectly every time!! I love it, not only for easy salads, but it’s versatile to use in a number of dishes, from breakfast to dinner. It even works well as a stand alone for a nutrition-packed side dish. 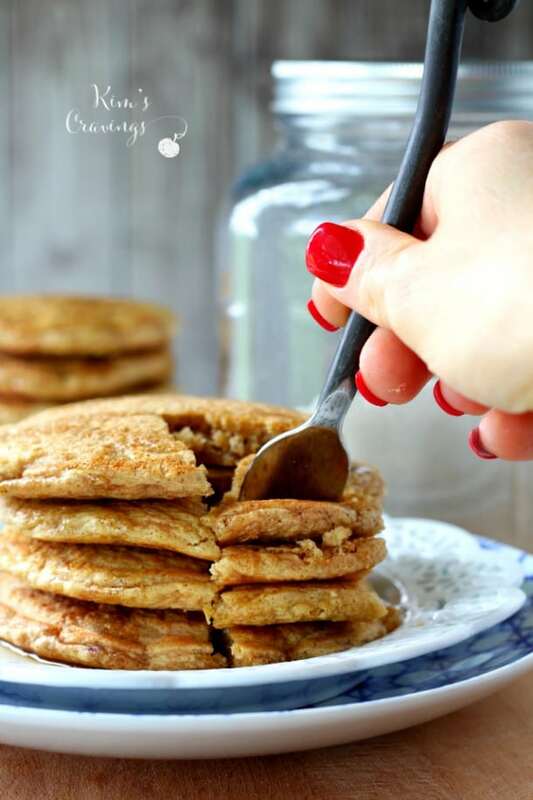 Success Quinoa is light and fluffy with a nutty flavor, plus it’s gluten free, 100 percent whole grain, a good source of fiber and a complete protein, containing all nine essential amino acids. Super food, indeed! Divide this recipe into two for a hearty entrée or four for an easy summer side dish. 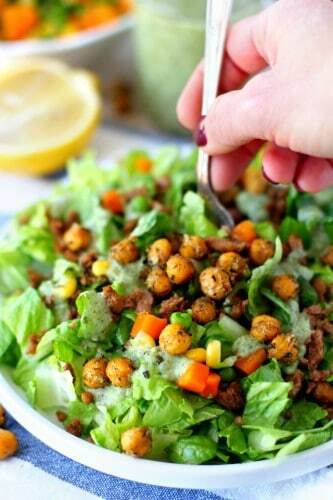 If you try this salad, let us know! Leave a comment and tag a picture #kimscravings on Instagram so we can all see! Enjoy, friends! 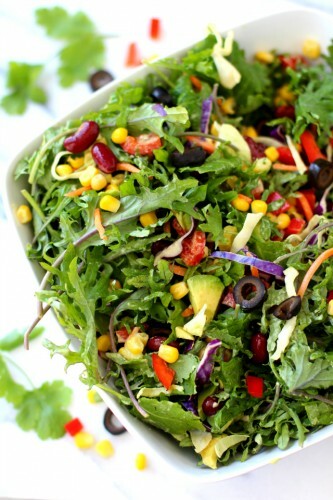 A wholesome, filling salad tossed in a sweet and tangy balsamic vinaigrette, creating the perfect blend of flavors! 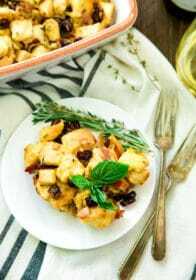 To make the vinaigrette, whisk together olive oil, balsamic vinegar and honey in a small bowl or jar; set aside. 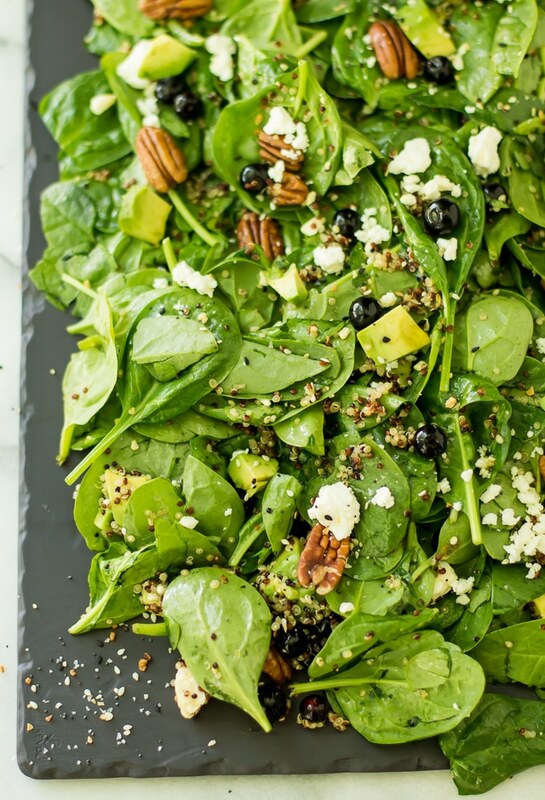 To assemble the salad, place spinach in a large bowl; top with blueberries, avocado, quinoa, pecans and feta cheese. Pour dressing on top of the salad and gently toss to combine. 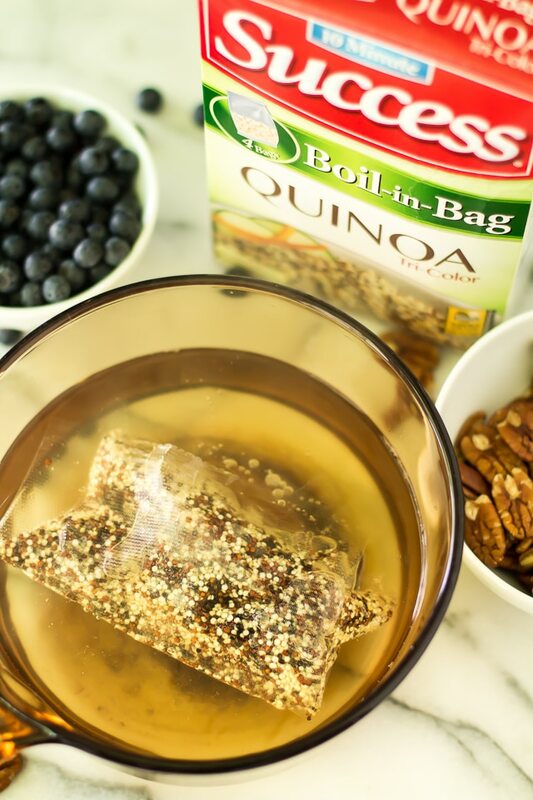 *When using Success Boil-in-Bag Quinoa, you will have leftover (one bag makes 1 1/2 cups quinoa). Use leftovers in other salads or as a side for another meal. **If you have a favorite flavored balsamic vinegar, feel free to use that. Have you tried Success Quinoa? 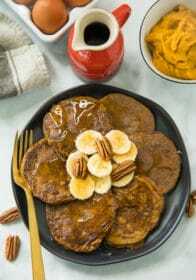 Visit the Success website for more recipe inspiration! Mmm, this looks fantastic! I love blueberries. I need to try this out soon. 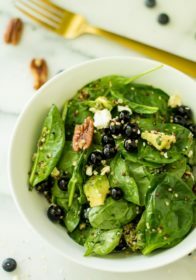 I love a great salad and the blueberries make it sound even more divine! 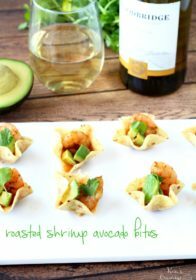 I can’t wait to try it this way with the Quinoa! I love blueberries and pecans and so does my family. 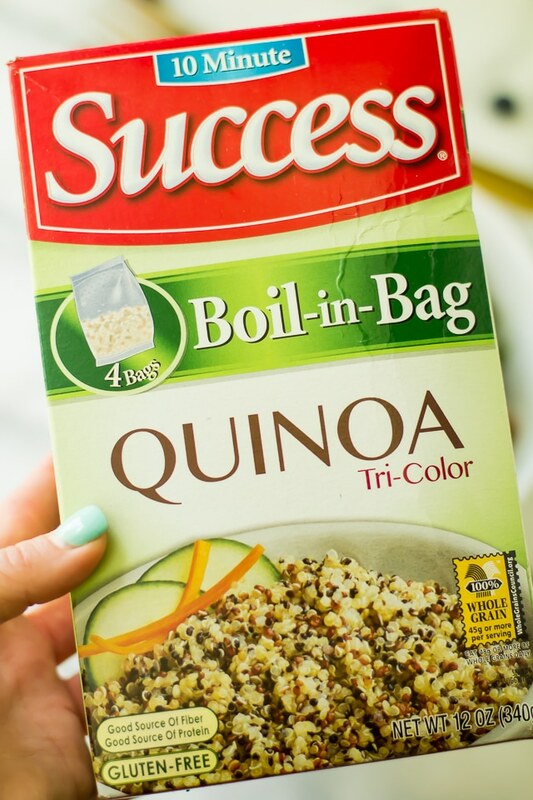 That Success® Tri-Color 100% Quinoa sounds amazingly simple to prepare! 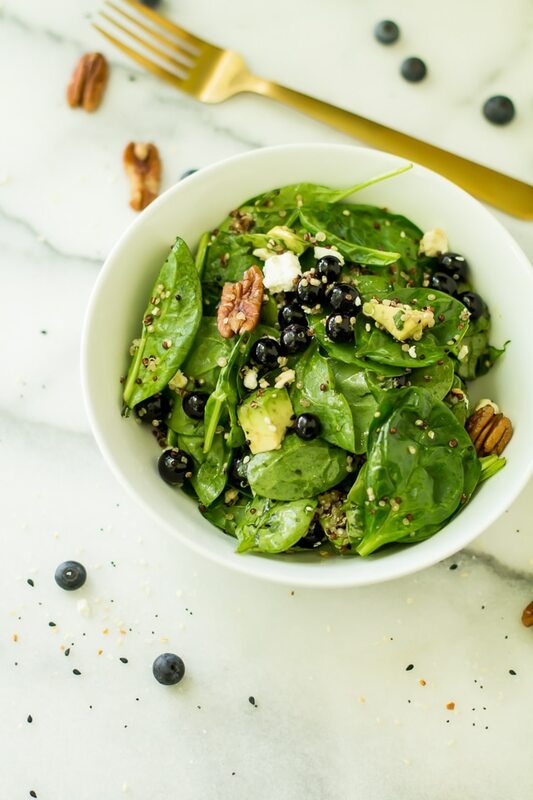 Kim, your Blueberry Pecan Quinoa Salad looks so refreshing and delicious! I love discovering new salad recipes to enjoy during the hot days of summer. Thanks for sharing yours! I have never tried quinoa before! But this blueberry salad makes me want to now! 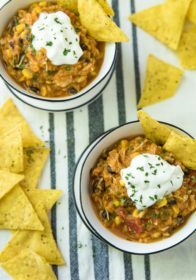 How many calories are in this recipe? This looks so good. I’ve never been a fan of quinoa but your pictures make me wanna give it a second chance. Wow!! 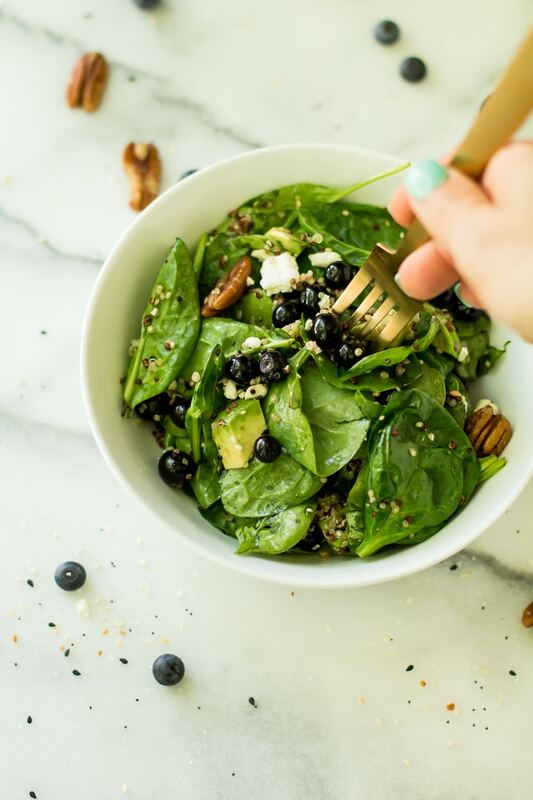 Look at this blueberry pecan quinoa salad recipe! 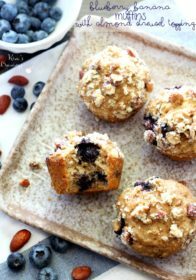 I never thought of pairing blueberries with quinoa, but your recipe seems like the real deal here. Yum! These all look very refreshing and flavorful. I would defiantly make this at home and it seems super quick and easy, I love it. I clicked after seeing the blueberries — my daughter’s favorite. But then you came at me with avocado. This is my new go-to lunch. I never really know what to do with quinoa, but this looks delicious, a perfect summer salad. These salads look delicious. 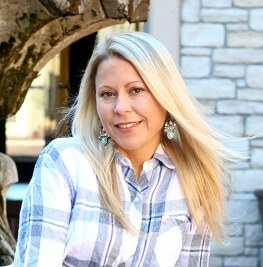 I am going to have to try making the Blueberry Pecan Quinoa Salad but the vignette on the side. I don’t like any dressings on my salads but the family does. Thanks for sharing the recipe. Quinoa is one of my favorite foods !! I love the idea of putting it in a salad and keeping it fresh and light.